Kelsius attributes its growth to a fantastic team and excellent products. 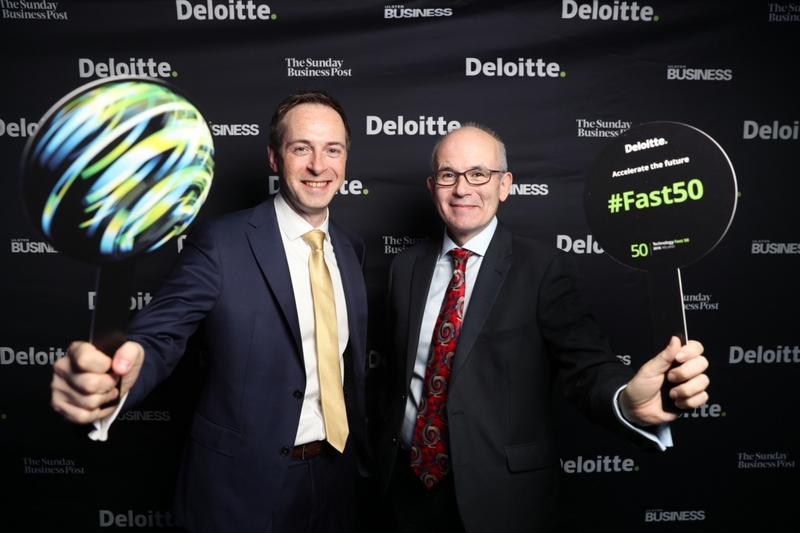 Falcarragh, Donegal, 12/11/2018 — Kelsius today announced that it ranked number 36 in the 2018 Deloitte Technology Fast 50, a ranking of the 50 fastest growing technology companies in Ireland. Rankings are based on average percentage revenue growth over four years. Kelsius are the only Donegal Representative on the list and one of only four companies from the North West region. Kelsius’ CEO, Andrew Logan, credits the fantastic team within the company and the excellent product set being behind the company's growth over the past four years. He said, "The Deloitte Fast 50 award is recognition that Kelsius is performing on a world stage. Our continued growth is a testament to the support of our clients and the constant desire for improvement of our product offering." All four provinces are featured in this year's awards. 27 of the winners are Leinster-based, 14 are based in Ulster, followed by Munster with 8 companies, and Connacht with 1 company. Overall, 12 counties are represented in the 2018 listing. Announcing the winners at the Deloitte Technology Fast 50 programme, David Shanahan, Partner, Deloitte, said: "Congratulations to our 2018 Deloitte Technology Fast 50 companies. Through these awards, we recognise Irish technology companies that are at the cutting edge, using technology for progress, to address the challenges that we all face and to create opportunities, both for themselves and for those that use their products. "We know that these companies are operating in an uncertain international marketplace. And yet they are prospering against this backdrop - in fact, it was particularly evident this year that the vast majority of revenues for the ranking companies are coming from export markets. This demonstrates the impact Irish indigenous tech companies are having in global markets."